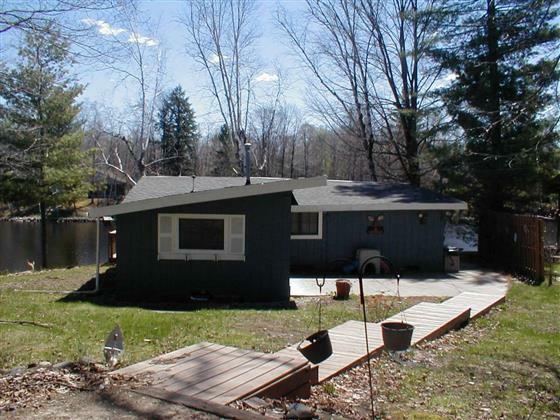 2 bed 1 bth Secord Lake Waterfront cabin. Just up the cut from Lost Arrow. 100 feet on the water with a sandy beach area. Sit back and enjoy from your deck and watch the boats go by. This cabin has so much to offer. Living room ,, Kitchen, Dining area is open concept. Cute and clean and ready to move into and start enjoying woterfront living.